The hiring spree at Indiva is reflective of the situation playing out at cannabis companies across the country, says the head of the largest marijuana industry association. “This is a massively growing industry,” said Allan Rewak of the Cannabis Council of Canada, an umbrella group representing some of the country’s largest marijuana companies. Canada’s cannabis sector employed 11,000 people in December, according to the most recent statistics available, with some projecting that number could hit 150,000 within the next decade, Rewak said. At Indiva, following the recent addition of three new flower rooms at its 3,700-square-metre facility on Hargrieve Road, the company plans to hire between 25 and 30 people to fill positions ranging from processing and quality assurance to oil extraction and edible manufacturing, chief executive Niel Marotta said. “Indiva is really about quality, so we want people who want to turn out quality volume, as opposed to just volume,” Marotta said. The company is holding a job fair at the Ramada London hotel on Saturday. Applicants, who must be at least 19 years old and can not have a criminal record, should bring a resume with references. The marijuana industry has brought hundreds of jobs to Southwestern Ontario, one of Canada’s richest farm belts, where more than a dozen cannabis growers have set up operations to grow and process pot for medicinal and recreational use. 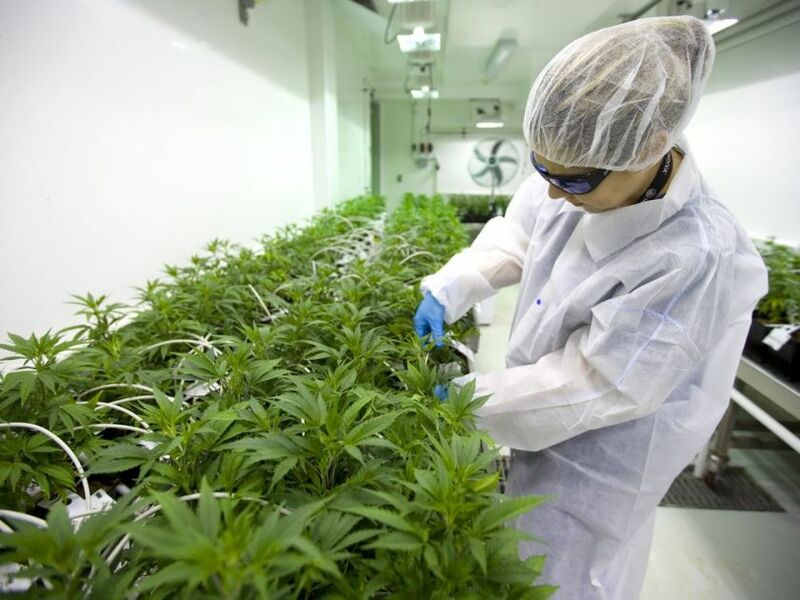 Several of those companies – Indiva, Aphria in Leamington, WeedMD and Eve and Co. in Strathroy – also have headquarters in the region. The debut of brick-and-mortar retail stores in April, including three in London, will result in more hiring. There are more than 1,200 cannabis positions listed on the job site Indeed.com, ranging from senior crop consultants and sanitation workers to packagers and health and safety managers. Dozens of listings for budtenders, a term for frontline staff at retail stores, have recently been added, including several positions for one of the new London retailers. “The cannabis industry is a great sector for those who are hungry,” Rewak said, noting it draws talent from a range of industries such as packaged goods, pharmaceuticals and alcohol and tobacco. “This is a case where Canada is exporting its knowledge, instead of the other way around,” he said.